Motorbike City is an award winning motorcycle specialist retailer, located in Ferntree Gully, Melbourne. Established in 2006 Motorbike City has cemented itself as a premier Motorcycle retailer. With over 35 years industry experience you can rest assured the team at Motorbike City are as passionate about your next purchase as you are. 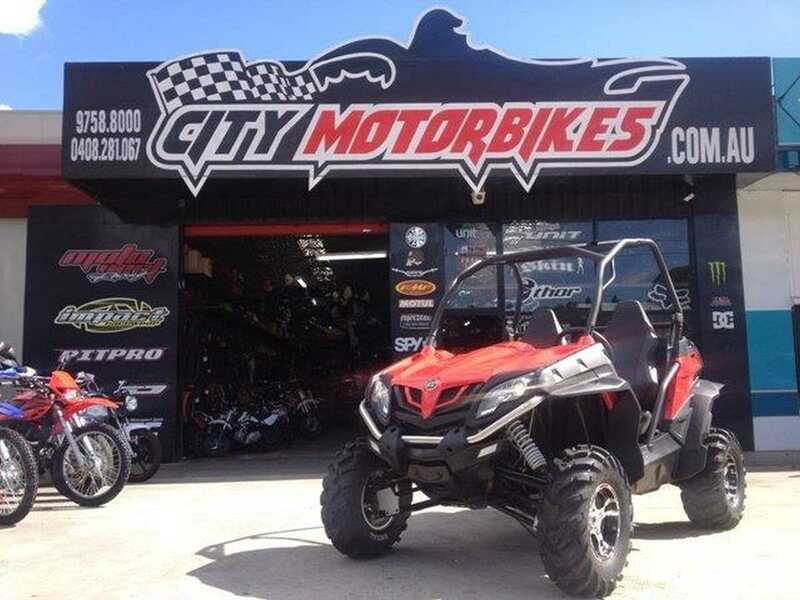 Motorbike City is a one-stop shop offering a wide range of vehicles, finance options, repairs and servicing. We also stock a wide range of tyres, spare parts, accessories, protective gear and clothing at everyday low prices. Our store stock is constantly changing and always worth a visit. Motorbike City aims is to continue delivering outstanding service, and comprehensive spare parts resources to their customers with the convenience of online orders and efficient delivery. Whether you’re just starting out, or are a seasoned pro, you will receive professional service and advice for all your motorcycle needs. If you have any questions about our business or how we can help you pop in for a chat during business hours or call us on 9758 8000.